768 rue Rachel E. Montreal, Qc. Pilates is ﻿more﻿ then just exercises, Pilates is also body re-education. At Studio Espace Pilates we believe each person was born with the perfect body. Yet we all need a bit of help from time to time to unlock our body's full potential, and that's where Pilates comes in. Pilates truly is for everyone, whether you are recovering from an injury or you are an elite athlete, regardless of age or physical fitness, Pilates can unlock your full potential! The Pilates method builds long, lean muscles, strengthens and balances the "core" (deep abdominal and back muscles), creates balance between the deep stabilizing muscles near your joints, and the superficial, more visible mobilizing muscles. Pilates improves posture, and respiratory patterns. In a nutshell Pilates is about balancing the body in the most functional sense possible, allowing your body to move freely and joyfully. "Physical fitness is the first requisite of happiness. Our interpretation of physical fitness is the attainment and maintenance of a uniformly developed body with a sound mind fully capable of naturally, easily, and satisfactorily performing our many and varied daily tasks with spontaneous zest and pleasure." Dénes Dreisziger was introduced to Pilates in 2005 while dancing professionally in Europe, and immediately fell in love with the method. Less then two years later he completed his matwork instructor certification at Studio18 in Vienna, Austria. Upon returning to Montreal, Dénes completed his full instructor certification with STOTT PILATES® (Matwork, Reformer, Cadillac, Chair, Barrels and "Injuries and Special Populations"). 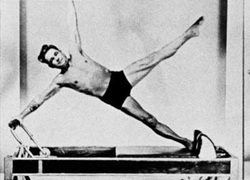 Before founding Espace Pilates, he worked in some of the top Pilates studios in the city. Kati Bélanger tarted doing Pilates in her hometown of Edmonton as a young dance student. Practicing Pilates freed her from her chronic back and hip pain, and gave her the tools to strengthen and heal her own body from the inside. After finishing her BFA in Contemporary Dance at Concordia University, she spent six months at dancing in Buenos Aires. Upon returning to Montreal, she received her Comprehensive teaching certificate from BASI Pilates. Kati loves to share her passion for movement, strength and physical freedom through her teaching practice. She is particularly drawn to helping clients achieve what they previously thought impossible. Rachel Santos, a California native, has been dancing and performing since age five. She discovered Pilates through a friend and loved the method of exercise. She first became a certified STOTT PILATES® Matwork instructor in 2011 and earned full certification in 2013. ​Rachel wants to provide her Pilates clients of all abilities an environment in which they can have fun while working toward their fitness goals. 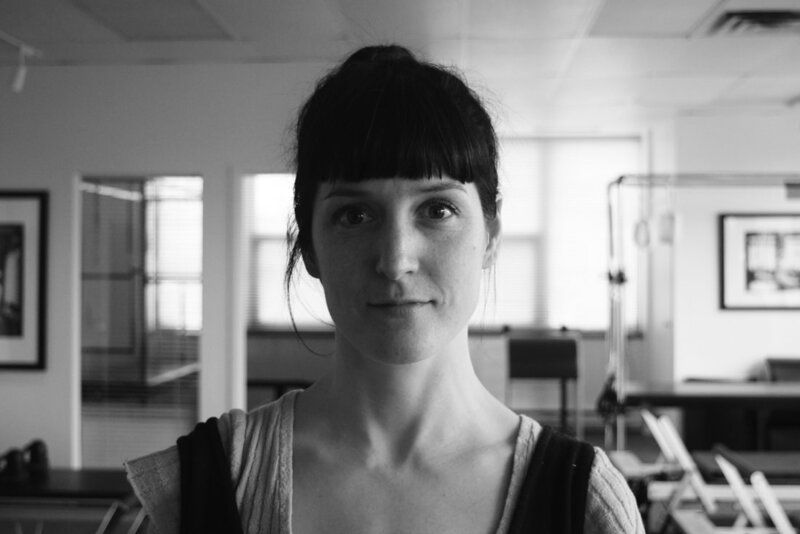 Claudine Hébert is a native Montrealer who is passionate about movement and a true believer of Pilates! She is well organized in her classes and with her encouraging voice will guide you through an hour of blissful, though sometimes torturous Pilates repertoire. Claudine is currently a professional modern dancer and brings many years of ballet-teaching experience. Pierre Lecours What motivates Pierre? Noticing movement patterns and figuring out how he can help his clients achieve their goals. If you are ready to work for a healthy body, Pierre is there to help you in your journey! Melina Stinson Since graduating from her studies in dance at l’École de danse contemporaine de Montréal, she has developed a career as both dancer and teacher. Melina continues to delve into the continuously evolving world of physical training and the pilates framework keeps her inspired and passionate about helping people, both professional dancers and people from all walks of life, be more happy and healthy in their own bodies. Please submit your question or comment. Find out about our upcoming events, new classes and workshops!